Wondering where to go in Calgary and surrounding areas? Just over an hour outside of Calgary is the world famous Banff National Park – for those unsure where to go in Calgary, this should be top of the list. 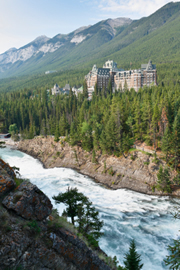 If you’ve never seen Banff Springs Hotel, prepare to be surprised. Set on a precipitous upsweep of mountain in the Canadian Rockies, is what appears to be an impressive European castle, almost too good to be true. Yet close up, the reality of the Banff Springs is even more impressive. The architecture inside and out is historic and eye-catching on its own, and combined with the luxury of the resort and its dramatic setting is more than spectacular. Stay at the hotel if you can or at least visit when you’re in Banff. Go for “High Tea,” a delightful tradition of quality teas, finger sandwiches, and pastries which is available every afternoon. The view of Rundle Mountain from the Rundle Lounge is exceptional. Go to the newly renovated and high quality spa. Golf surrounded by unparalleled mountain beauty. Enjoy a weekend brunch. Skate or stroll on the beautiful grounds. Walk to the waterfall. Hike nearby trails. Relax in splendour. Treat your partner or family to the destination of their dreams. There is so much to do in and near the hotel no matter what your interests are, you won’t run out of activities. There is shopping, restaurants, skiing, hiking, art galleries, hot springs, gondola rides and much, much more in the Banff townsite and surrounding Banff National Park. With Burgundy Limo, your Calgary Limo company, you can arrive in luxury, unhassled by normal ground transportation which can be an exhausting and frustrating experience of waiting in taxi queues or taking shuttle buses. If you are staying in luxury, why not travel in luxury too? Treat yourself to Burgundy Limo. 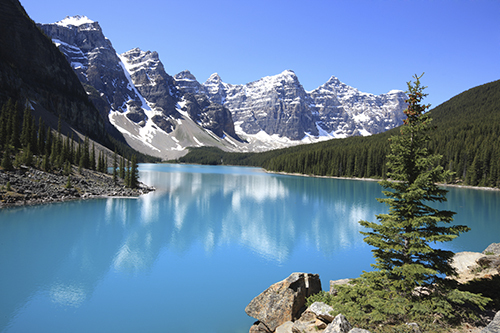 Ask your chauffeur for more destination ideas of places to go in Banff and Southern Alberta. Downtown Calgary is the destination of many of Burgundy Limo’s discriminating clientele, whether business or oil and gas executives, film industry and other celebrities, or other distinguished individuals. Inner-city Calgary has many attractions, night clubs, and restaurants. 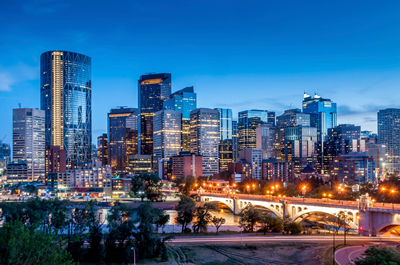 Some attractions are the Calgary Tower, Devonian Gardens, and Prince’s Island Park. The Calgary Tower has a great view of the city and surrounding area. It has a revolving restaurant where you can eat, drink, and enjoy the view at once. Devonian Gardens is a beautiful indoor botanical garden with many exotic plants, walking areas, and an indoor playground. There is also a food court with gelato and all types of food. The Glenbow Museum offers art, local history, and special exhibits on display. Prince’s Island Park offers a playground, bike trails along the river, and a peaceful urban retreat. There is also a great restaurant called the River Cafe on the island. These are just a few places to visit in downtown Calgary. Our chauffeurs know the downtown area well and can suggest venues to visit which meet your interests an activity-level. Tour Calgary in style with Burgundy Limousine. We are a great Calgary airport limo service but also a great sightseeing and about town limousine service. This site suggests a variety of tours and experiences in nearby BC. Check out the luxury train tour that goes from Vancouver to Calgary through some of the most exhilarating and pristine mountain scenery in the world. Take a kayak tour, hiking, discovery, or birding tour. Enjoy a roller coaster through a natural setting. Check out BC Mountain Tours. Modern life can often feel like a grind of obligations, a barrage of information. It’s hard to keep up. Heritage Park is a refuge for a simpler, slower break from life. It’s a truly unique gem that has been charming Calgarians and visitors alike for decades. Tucked along the banks of the picturesque Glenmore Reservoir, stepping into Heritage Park feels like you’ve stepped back in time. This village is a sanctuary for Alberta’s heritage buildings – all of them original or faithfully reconstructed. 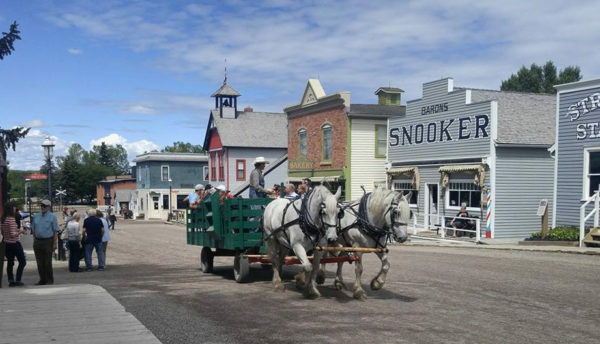 Over time, they’ve been transported from all over the province to recreate an old Alberta town, much as it would have looked and felt at the turn of the 20th century. This includes a main street, with old confectionaries, a hotel, post office, bakery, newspaper, blacksmith and more. Each of them are functioning versions of how such businesses were run. Interpreters explain the working machinery and give demonstrations: you can watch a turn of the century printing press in action, a blacksmith work super heated metals into all kinds of shapes and tools, a baker making a dizzying array of delicious food faithful to old styles and recipes. Dotted around the park are beautiful, original houses, including the first mansion built in Calgary. At every stop, there are friendly and knowledgeable interpreters to answer your questions and give context to what you’re seeing. Encircling the park is a full sized, original functioning steam engine, the same kind that built and populated the West. You can ride around in original carriages and see the West exactly as a one would have over 100 years ago, arriving to start a new life in the prairies. Heritage Park lets you become immersed in a forgotten past and Burgundy Limo can transport you to this wonderful Calgary attraction. We recommend you turn off your phone and let yourself forget the outside world for an hour or two. Walking down the old streets, the modern city feels a million miles away.